Swan Heating provides professional Heating, Plumbing, plus Air Conditioning services to our esteemed customers in the entire Centennial CO area. We have over 40 years’ experience in the provision of home comfort solutions. Our experienced professionals always ensure that homeowners and business owners are comfortable. We give the best service regarding maintenance, repair, replacements and installation of new equipment, be it fixing sewer lines, maintaining heating appliances, maintaining new air conditioning machines and the like, it is right up our alley. Swan heating offers the best combination of skills and experience. Or, click here to schedule your Centennial plumbing or HVAC service online. Owning property in Centennial CO is a prime investment you want to keep in top condition. One thing that comes to mind is installing heating systems and maintaining existing ones. Swan Plumbing, Heating & Air provides top of the range heating solutions. We have extensive experience and skilled technicians who will help you determine the best-suited heating solutions for your property. We will not only help you install a new system but also maintain and repair existing ones. We will even restore failed heating systems back into prime working condition. If you need professional ventilation, heating, and air conditioning professionals in Centennial CO, Swan Plumbing, Heating & Air is the best bet. You want to get cozy during the freezing months. What better assurance would you need other than hiring our professionals? You will get the widest range of furnaces, ductless split heating, and boilers. We provide services ranging from installations, replacements repair, and maintenance. Having a high-quality working furnace guarantees you reliable comfort. What you must know is that nothing lasts forever. With time, it falls into disrepair. You do not want that stage to come way early into your well-being. For the best operations, have a professional install it for you. Efficient operation of the furnace is dependent on accurate and appropriate installation by Swan Plumbing, Heating & Air. As much as your furnace looks dashing, it will need regular professional repairs and maintenance. That is where we come in. It is imperative to call as soon as possible because if you ignore warning bells, severe damage may result, forcing you to replace the whole thing. Involve Swan Heating for your furnace installation in Centennial, CO.
Other than furnaces, we also install and repair boilers. Boilers heat your home using heated water or hot steam as opposed to furnaces which use forced air. It thus requires extensive piping and since we are experts in plumbing, be assured of the best service in boiler installation. Boilers live long thus have a reputation of not needing a lot of attention when it comes to repair and maintenance. That said, no machine exists that does not face a drop in performance. You are bound to face operational problems and once it happens, call us today for all your professional needs. We also specialize in installation, repair and maintenance of storage-tank heaters, tank-less heaters, hybrid electric heaters, solar water heaters, and condensing gas hot water heaters. 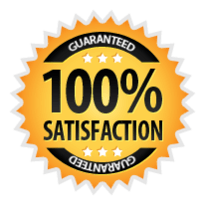 We understand the headache having service completed by an amateur can cause which is why we provide a 100% Satisfaction Guarantee on all residential plumbing, heating (furnace and boiler), and air conditioning service done by our Centennial plumbers and HVAC technicians. Once we've visited your home we provide an in-writing per-project cost, so you don't have to worry about runaway hourly costs, and the job isn't complete until you're fully satisfied! All of our guarantees apply to jobs big and small, from a simple repair to an extensive installation or replacement project, so give us a call today! Click here to view all of our HVAC & Plumbing Service Guarantees! Let us face it; nothing lasts forever. Plumbing meets the same fate. It breaks down now and again. When that happens, whom do you call? Swan Plumbing, Heating & Air of course! We solve any issues related to your plumbing systems. We install new piping, sewers, water treatment systems, water heaters and drains. We also repair and maintain kitchen and bathroom plumbing repairs. We provide the best solutions for drainage cleaning so that you will not need to worry about clogged and dirty drain pipes. We also make sure they will not suffer any damage. Leak detection services fall under our purview. We also perform slab leak repairs, install ejector/sump pumps and do water heater system installation. Other than installing water heaters, we repair and maintain them. One of the most pressing problems homeowners face is having clogged drains. Swan Plumbing, Heating & Air will clean and unclog your drainage during emergencies since we are on call at any time of day. Our meticulous technicians ensure no damage comes to your drainage pipes. Looking for air condition installation and repair? Look nowhere else other than Swan Plumbing, Heating & Air. Summer heralds the coming of the hot months. The high temperatures can be uncomfortable for anyone, but Swan Heating comes in to provide you with the peace of mind you deserve. On offer are the best air conditioning merchandises and services. Swan Plumbing, Heating & Air is on call at any time of the day, seven days a week and throughout the year. It is not fun when your air conditioner breaks down especially at noon with temperatures are in hyper-drive. When such emergencies happen, we are only a dial away. It is important for you to take preventive measures. Make a point of contacting Swan Heating for regular check-up and maintenance of your air conditioning system. It is best to have an annual maintenance where we check through the entire network cleaning out sediments, making small repairs and replacing parts showing wear and tear. It will ensure the smooth running of the air conditioning system thus saving you from incurring huge costs in repairs and replacements.